This statistic provides information on the share of U.S. social networkers who want to reduce their social networking activities. 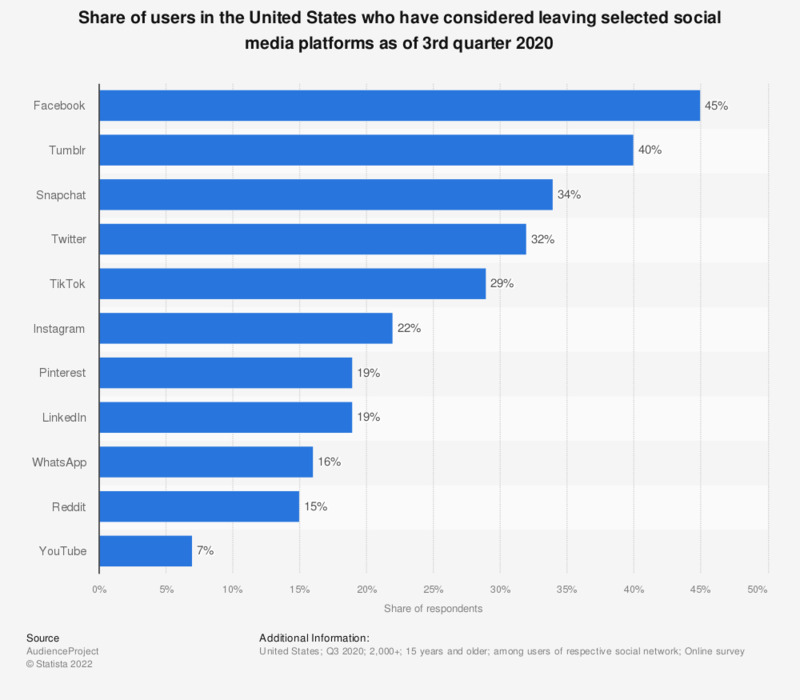 During a June 2013 survey, it was found that 31 percent of social network users who were planning to stop or take a break from using at least one of their social networks this year were 18 to 34 years old. This election season, have you modified your views about a particular political candidate because of something you saw on social media?